Hey there, stranger! Enter your email above and a line of code will appear here! This is the script that runs on your Raspberry Pi during the installation process. Remotely access your device command line. Similar to SSH, but without the complex set-up required to get it working behind firewall and NAT. 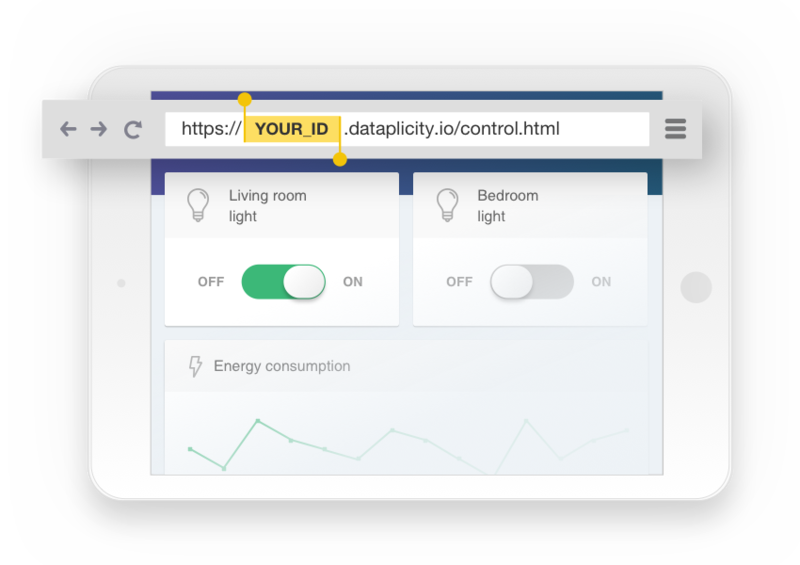 Wormhole provides a proper URL for your web control panel which follows your devices across cellular, satellite and fixed networks. Manage your devices from Windows or Mac. 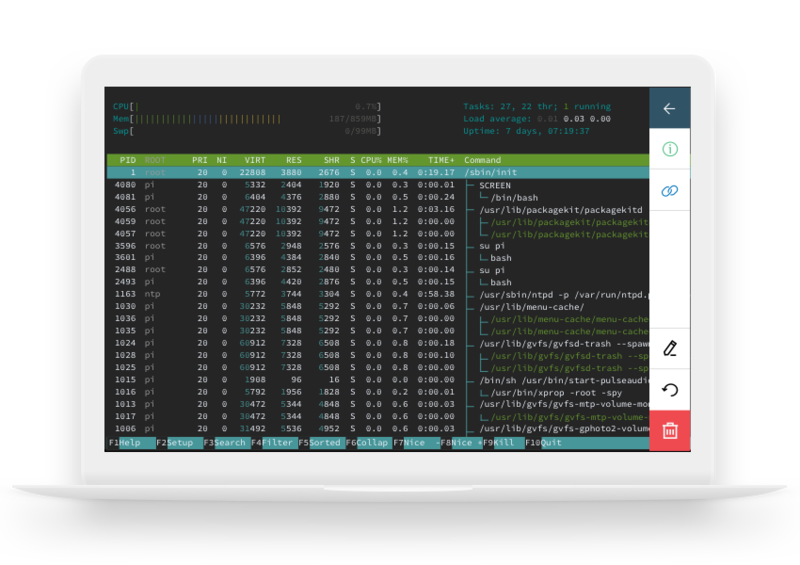 Porthole forwards TCP ports from your remote Linux devices to your workstation. Use SSH, SCP, VNC, or even proprietary protocols to reach your remote devices. All you need is an internet-connected device, and you're ready to go! 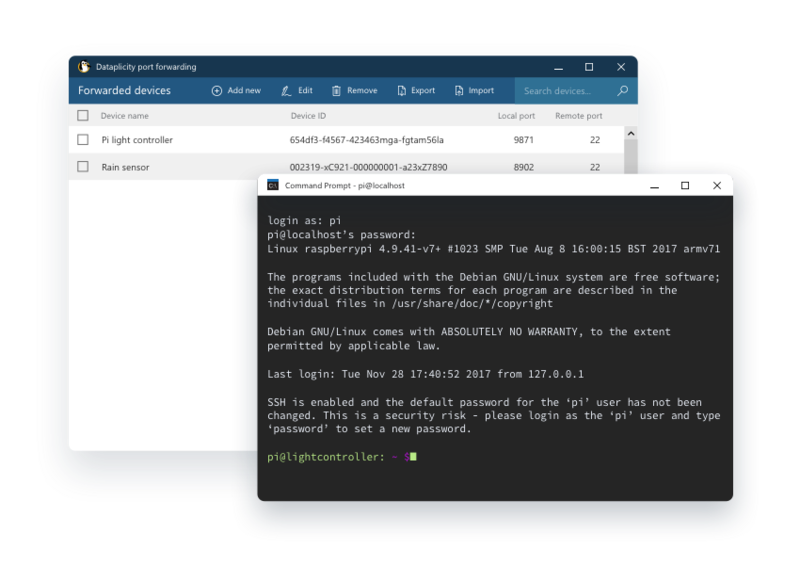 If your Raspberry Pi is connected to the internet, you can access it via Dataplicity. You can even connect to devices behind firewalls. Log in to Dataplicity, select the device you want and access your remote shell. It's that simple! Dataplicity connects using client-initiated HTTPS, so it's safe, encrypted and you don't need to make specific firewall exceptions.